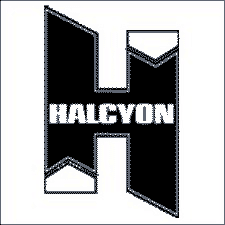 Scuba Tech Diving Centre is the main dealer for Halcyon and BTS diving Equipment in Cyprus, we offer the complete range to the trade and retail. From recreational to Technical Diving Equipment, wings, regulators, cylinders, reels and much more... if you want to dive with the coveted blue H, look no further than Scuba Tech Diving Centre, Cyprus. The new Halcyon Traveler™ system merges the simplicity and lightweight appeal of small jacket systems with the performance of back mounted BC Systems. It uses a lightweight PA6 Nylon Backplate with an integrated single-tank carrier and Cinch quick-adjust system, which provides a secure, lightweight and easily adjustable BC system. The shoulders and back are padded providing unparalleled comfort. The wing is single bladder with either a 30lb or 40lb lift capacity and the system boasts a specially designed, non-releasable weight attachment system for better distribution of weight across the diver's back in addition to the usual ACB weight system on the waist. Totally clutter free compared to traditional jacket style BCDs, the profile of the Eclipse Wing supports the diver's single tank along his or her entire length, preventing unnecessary drag and minimising in-water effort. The continuous loop harness is infinitely adjustable and prevents the frustrating lack of control found with typical buoyancy compensators. There's a whole lot of fun with less effort in this one size fits all adaptable system that will last you a lifetime. The Halcyon Evolve full system which consists of wing, backplate, harness and all the hardware you need from the twinset range of products. The Evolve's full-circular design allows for precise control of in-water buoyancy and trim while essential horizontal trim is easily accomplished through the addition of lift at the base of the cylinders. The stainless steel or aluminium backplates and infinitely adjustable continuous harness fits divers of all sizes while the wings are available in 40lbs and 60lbs lift capacities depending on your needs.